Ladies and gentlemen, here is a curated list of products that will guarantee to make someone smile this holiday season. Surpiqure is an equine inspired jewelry company offering a wide range of styles for both men and women. In addition to every style, they have a variety of leather band colours for every occasion and style out there. Gift a handcrafted bracelet from this beautiful French company this season. I wear my Auby Bracelet both in the city and at the stable. Enjoy free shipping this season with this code: HelloKait. Give a special someone the gift of comfort this season with these breeches. Eq Athletica is a Canadian company focused on bringing functional and comfortable designs to the rider. The beige breeches are fantastic for training in, but classy enough to take you into the show ring. With the addition of the back pocket, you’ll never have to ride without your phone again! Gray & Bay Horse Co. is a Canadian clothing company that uses equine motifs throughout their pieces. I always love showing my equine pride by wearing Gray & Bay Horse Co.’s shirts in the city! Their fun designs will definitely bring joy to your wardrobe this season. As equestrians we are always concerned about what we are putting on and into our beloved creatures, but we should never forget about ours! 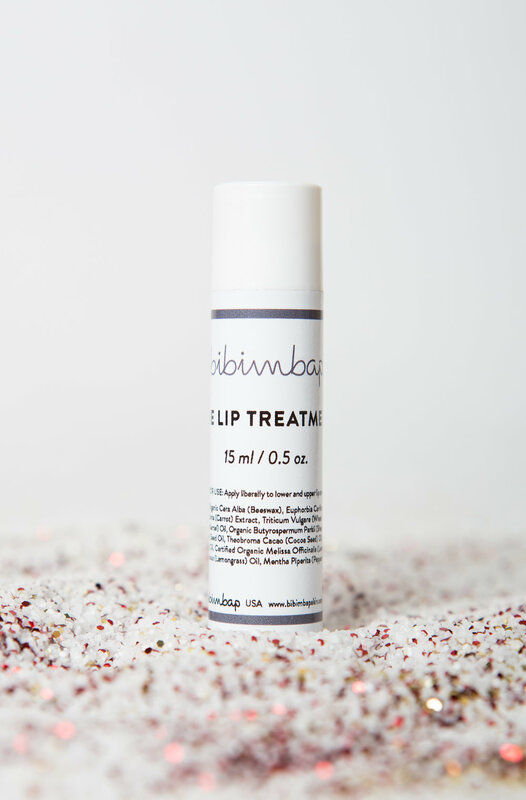 This holiday season treat your skin from the harsh elements we are exposed to at the stable with Bibimbap Skincare. With a wide range of skin products, specially made for equestrians your skin will be thanking you endlessly. My personal favourite is their lip treatment! Winters can be long, cold, and dry which can damage your horses coat! Not to mention all the dandruff and dust build up. This winter, fight back and treat your horses coat by using Purvida Healthy Horse’s leave in conditioner. 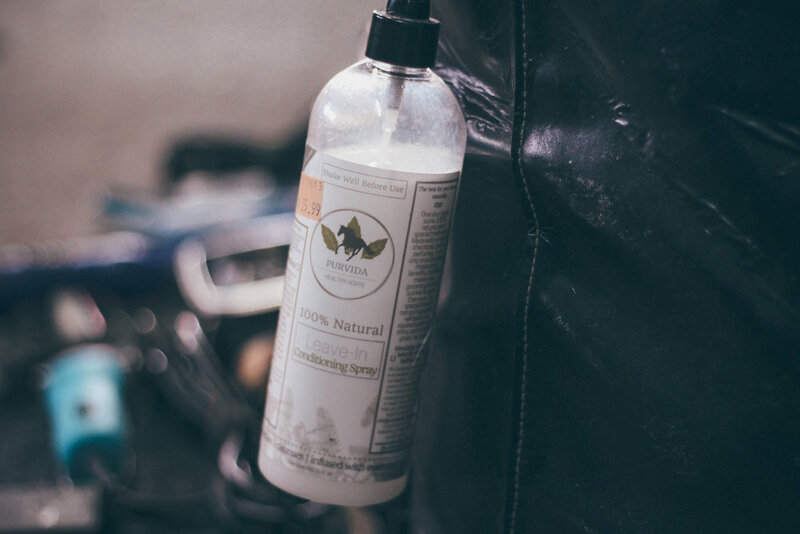 Not only does it smell amazing, but it also nourishes the coat with essential oils. I use this everyday on Lex as a dry shampoo, both he and I love it. Never be cold again with Konia Equestrian on your back. Here in Canada it can get pretty cold, so we need all the layers we can get! But that being said, layers are bulky and can limit one’s mobility when riding. Konia Equestrian’s designs allows riders to wear minimal layers without sacrificing warmth. 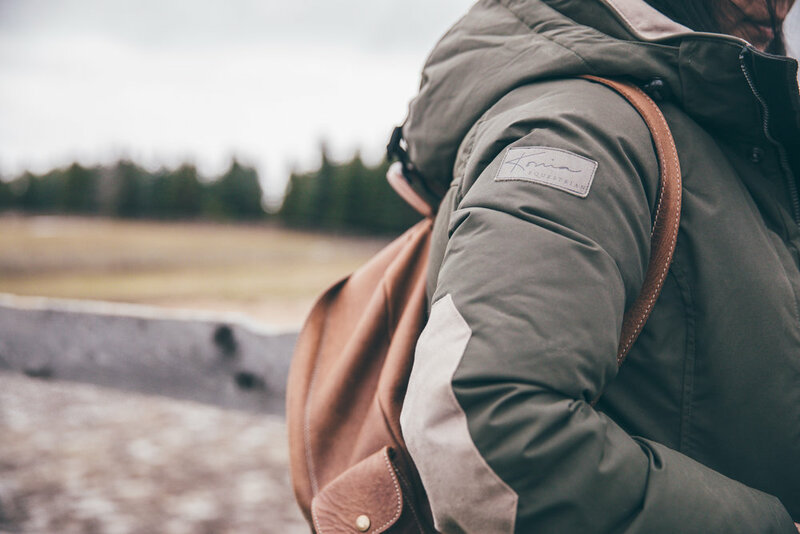 Their jackets have classic and timeless design with a complimentary fit. Keep warm this winter, from head to toe! Redingote’s jumpsuit will keep you toasty on every winter hack you venture out on this holiday season. With features for riders including a crop pocket, d-ring spurs (I use them for my keys! ), and leg zippers for easy access to your boots! High quality and cute, you really can’t get much better than that. This jumpsuit comes in two colours a beautiful ice blue and a rich navy. Give the gift of comfort this season with Knix. Knix encourages women to live unapologetically free and is an advocate for all women! Free of all judgement and doubts, here at Knix we lift each other up. Not only do they have a beautiful campaign geared towards all women, but they have unbeatable products. My favourite is the Catalyst Bra and their athletic underwear. This is the perfect set for the everyday equestrian!